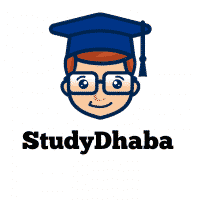 Geography Cropping Season of Agriculture pdf download – Hello friends Welcome to studydhaba.com . Here We are sharing Geography Cropping Season. (a) Kharif: Crops are sown at the beginning of the South -West monsoon and harvested at the end of the South -West monsoon. Sowing season- (October -December) and harvesting season (February – April). (c) Zaid: Crops which are being raised throughout the year due to artificial irrigation. (i) ZaidKharif: Sown in August-September and harvested in December-January. Important crops include rice, jowar, rapeseed, cotton and oilseeds. (ii) Zaid Rabi: Sown in February – March and harvested in April -May. Important crops are watermelon, cucumber, leafy and other vegetables.